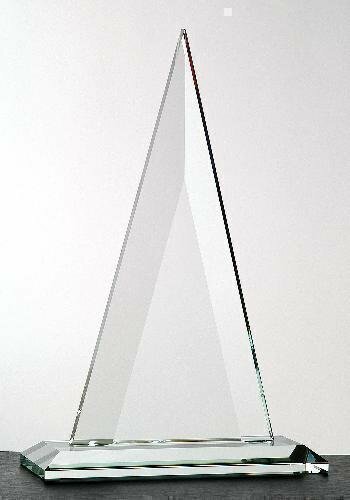 Tierra is part of the Chien J. Wang Collection designed by international designer Chien J. Wang. 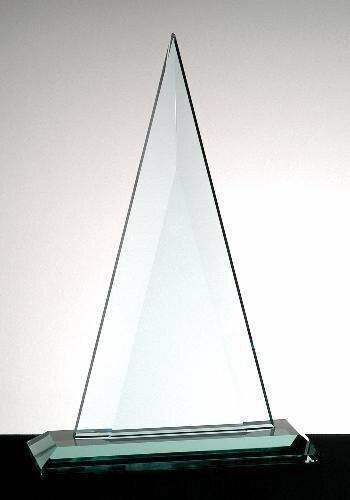 The Tierra is not an award, it is a work of art! The front of the circle is rounded while the back side is completely flat. The through circle on the top left symbolizes the sun will always shine in your world. 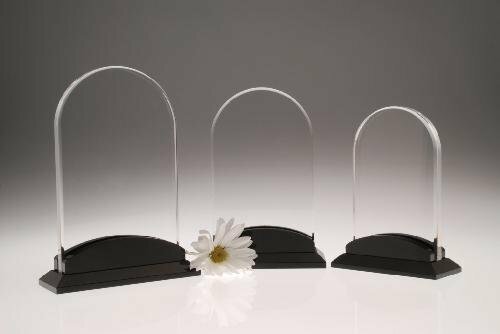 Our beautiful Acrylic Tombstone award is the perfect way to showcase any commemorative event. 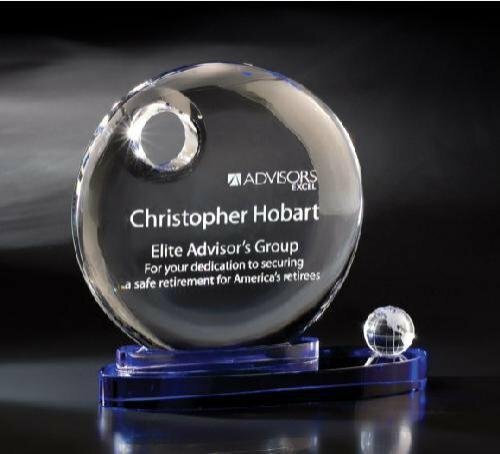 With plenty of room for engraving and personalization, this award can be laser engraved, color-filled, or screen printed to capture just the look you want. 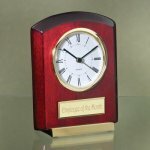 This award is available in three sizes and comes mounted on an elegant black domed acrylic base. 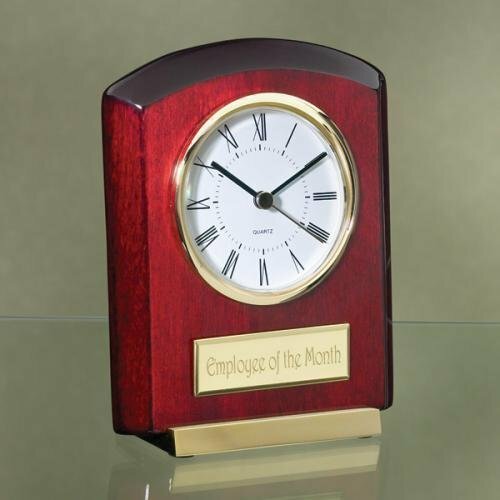 This item comes in a White Presentation Box.